It’s a perfect DOC Club Ride for Spring. 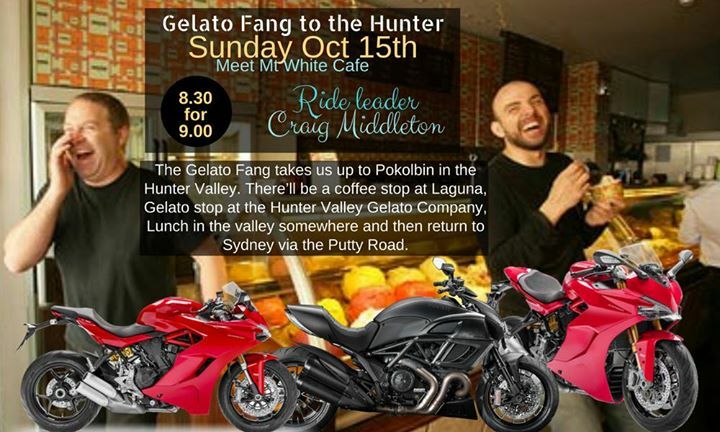 Meet at Mt White Cafe [Rd Warriors] at 8.30 back on the bike by 9.00 am for a fang through Wollombi to the Hunter Valley Gelato bar/vineyard. Back home either Putty or Wollombi as suits. Only thing to think about is – What flavours ?